In the past, before 1980, there was no conflict between the our liners and the container ships. First, container ships did not exist before the late 1970’s. Second, before that time, general cargo ships were not many as it is our liners that were mainly carrying the inter-island cargo that should be transported fast and were not in bulk. That was the reason why even though our production and the number of people were not yet as high like today, there were so many liners existing with as high as 90 liners at its very peak. In the early 1970’s, the Sea Transport Company came into existence. What was notable for this new company is they offered regular express cargo service to Mindanao which means a direct service and aside from loose cargo, their ships were able to carry small container vans which were non-standard as in they were offering 8-foot containers which they themselves designed (it was rectangular in shape). In due time, they also shifted to standard container vans and they fielded pure container carriers. In 1976, Aboitiz Shipping Corporation converted one of their general cargo ships, the P. Aboitiz into a container carrier. Conversion like this was not difficult because only some internal structures need to be modified so a container van can be slot in and that also means modifying the holds and the hatches. The grabs of the booms also have to be modified by a bit so it can handle a container van. In 1978, containerization was already in full swing when Aboitiz Shipping Corporation added more container ships and William Lines Incorporated followed suit. The next year, in 1979, Sulpicio Lines Incorporated also joined the bandwagon to be followed in the next year by Lorenzo Shipping Corporation which had already split from its merger with Carlos A. Gothong Lines Inc (CAGLI). Negros Navigation Company also joined this new paradigm in 1980. In 1981, Sweet Lines Incorporated also followed suit but they used their old company name Central Shipping Corporation. Among the major liner companies then, it was only Compania Maritima which did not join this new paradigm. These new container services offered direct sailings as in there were no intermediate ports. With direct service, the container ships might be a little slower than the liners (except for the fast cruisers) but their transit times were not worse than the liners (except to Cebu) because they don’t lose time in an intermediate port or ports. With the speed, convenience, security (no pilferage), lack of damage and contamination, soon the shippers were already shifting en masse to the new container services. In the liner crisis of 1980 when many liners were deactivated and laid up, it seems the main cause of that was the emergence and immediate success of the container ships and container shipping. Maybe the liners suddenly found they don’t have enough cargo and hence they can’t maintain the old sailing schedule and from the outside it looked like that suddenly there was a “surplus” of bottoms (actually the liners complained of that). In December 1979, the first RORO liner, the Dona Virginia of William Lines came. 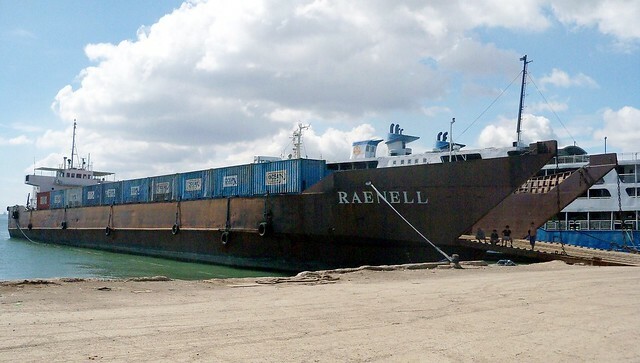 This RORO and those that came after her were capable of carrying container vans especially the XEU or 10-foot container vans that can be loaded aboard by the big forklifts. Soon even the fast cruiser liners were also carrying container vans atop their cargo holds especially at the bow of the ship. Some can also carry container vans on a platform in the stern. Locally, I did not see a new paradigm take hold as fast as container shipping. The ROROs even took longer to be the new paradigm. In containerization, there was even a rush to convert general cargo ships into container ships. All the “new” container ship of Lorenzo Shipping Corporation were converts at the start. The other container shipping companies bought general cargo ships from Japan and converted them into container carriers. Our first container ships looked like general cargo ship unlike the modern container ship which does not look like general cargo ships (and nor can they handle loose cargo). The emergence of the RORO liners even pushed containerization faster as that new kind of ferry is ready-made not only for vehicles or rolling cargo but also for container vans, wheeled in atop chassis (which means atop trailers) or not (if not wheeled then big forklifts “wheeled” them in). There were not yet reach stackers in the early years of our containerization to handle the container vans. In the 1980’s and the 1990’s, the liners can still hold off the container ships. The reason was there were no budget airlines yet (Philippine Airlines fares then were really stiff) and there were no intermodal buses yet in the bulk of the islands (it was only strong in Eastern Visayas, their pioneer area). And liners can still pack in the passengers (even up to “overloading” or overbooking point) because people has already learned how to travel and there was a great push for migration to Metro Manila (which later led to the overcrowding of this metropolis). However, when budget airlines and the intermodal buses came in droves, the passengers of the liners dropped. The 2,000 to 3,000 passenger capacity slowly became “too big” and hence the national shipping companies no longer fielded liners with capacities such as this in the new millennium. 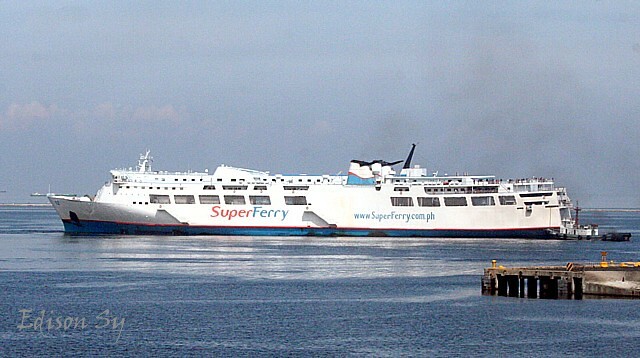 Aboitiz Transport System (ATS) also tried to reduce passenger capacity and increase cargo capacity by converting some of their liners to have two decks for rolling cargo like what they did in SuperFerry 12, SuperFerry 9 and SuperFerry 2. Can the liners compete with container ships when the passenger demand dipped? The answer is a plain “No way”. Liners usually have more than three times the horsepower of a local container ship (and it is single-engined which means less spare parts are needed) and yet the local container ship usually have three times the container capacity of a RORO liner. This even became more pronounced when the regime of high oil prices came in the first decade of this millennium. Per fuel prices alone, the container ships can carry each container van much cheaper than what a liner can. Container vans also do not need the amenities needed by the passengers. Moreover, it does not need the service expected of the passengers which need to be fed and be given more than decent accommodations plus some entertainment. Because of that, the crewing needs of a liner is far higher than that of a container ship. All of those means more expense of the part of the liner company. Besides, a RORO liner is more expensive than a container ship for the same size and its insurance is higher. Ever since the 1980’s, even when the passenger demand was still great, the national shipping companies were earning more from cargo than their passengers. That is true even today when 2GO admits that almost 70% of their revenues are from cargo (and to think under their roof is SuperCat which widens the passenger revenues). Definitely their investment for liners is greater than their cargo ships. Maybe it was only loyalty to their passengers and passenger shipping why they were not quitting this segment. Maybe it is also because of inertia which means just keeping doing the old things. If we look at the recent years we can see that for every liner acquired at least 7 container ships were acquired and this is even a conservative estimate. If we look at the last 10 years starting from 2006, only 11 liners came to our shores and that includes the 3 Cebu Ferries, two of which are still used as overnight ships although already converted into small liners. Meanwhile, MARINA registered 80 or more newly-arrived container ships in the same period. These are the container ships of Oceanic Container Lines, Sulpicio Lines/Philippine Span Asia Carrier Corporation, Lorenzo Shipping Corporation, NMC Container Lines, Solid Shipping Lines, Negros Navigation/Caprotec Corporation/2GO, MCC Transport Philippines (MCCTP), Moreta Shipping Lines, Meridian Cargo Forwarders, Seaview Cargo Shipping Corporation, Escano Lines/Loadstar Shipping Company and West Ocean Lines and Transport acquired in the last ten years. Now how many container lines is that compared to a sole passenger liner company? There are few liners sailing now and all are under just one company which is 2GO (since Romblon Shipping Lines has already quit). Meanwhile, container ships are still mushrooming and more container shipping companies are joining the field. Even 20 years ago there were already more container ships than liners. Now the container ships are already outstripping the liners in number. And the trend holds true year after year. The question is why? Well, the simple answer is the shipping companies won’t invest in liners as it does not make sense. More revenues can be earned from container shipping at less investment with less hassles from regulations and supply needs (like the food needed by the passengers). So why would they enter passenger liner shipping? Better “pets” like containers vans rather than people like the passengers who can raise a ruckus and if the ship sinks then goodbye to all the advertising and service spent for the goodwill. If a cargo ship sinks, the uneducated public and the media almost won’t mind at all. If cargo is the bread and butter of shipping it will now go to the container lines because they can actually offer the lower shipping rates. If not it will go to the intermodal trucks which has even lower rates. 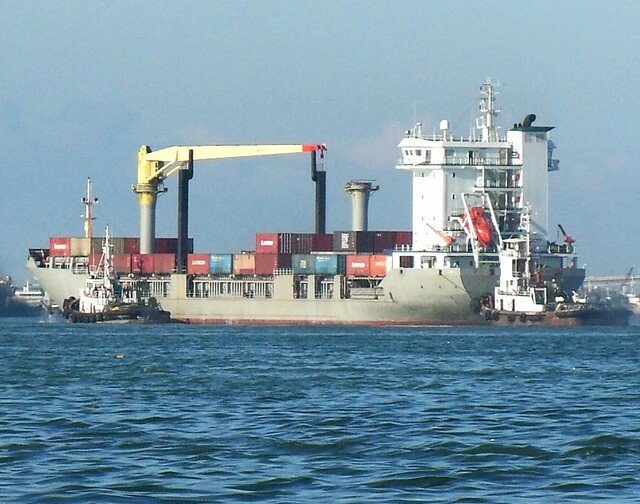 And arriving now recently are the Cargo RORO LCTs which carry container vans (even from Manila) like those of Roble Shipping Incorporated, Ocean Transport and Asian Shipping Corporation. This new paradigm can offer even lower rates than the container ships. Sometimes it looks like liners are already passe. But I don’t want them to go because I prefer them over planes and the intermodal buses are sometimes too tiring especially those who are no longer young. Will the liners survive? Now, that is one question I would not like to answer.